The third ever National Schools Snowsport Week sponsored by Interski takes place from Monday 23rd until Sunday 29th April 2018. National Schools Snowsport Week is aimed at giving pupils at primary and secondary schools, as well as sixth form colleges, the chance to try skiing or snowboarding for free or at heavily discounted prices. 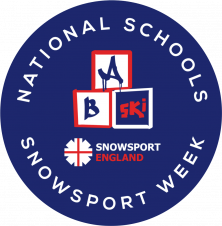 Get your school involved in trying skiing and snowboarding by CLICKING HERE to find your closest slope or club taking part in National Schools Snowsport Week. We understand that for some school children, it will be their first time on skis or a snowboard. For others, it could be an opportunity to try racing, freestyle or ski or snowboard cross. For all we hope that it will be an enriching experience, which combines physical strength with fine skills of balance and agility. After the week, we encourage schools to continue participating through programmes on offer at their local facility or facility linked local club. Hoping that overall this develops your school children's skills and abilities in a fun and engaging environment.